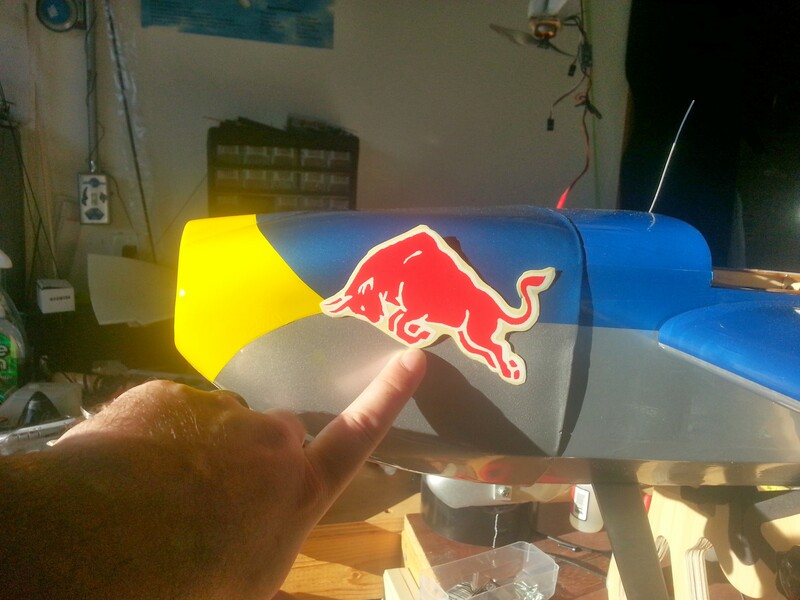 Welcome to Part 2 of the Red Bull Zivko Edge 540T build. Read the first post in the series. 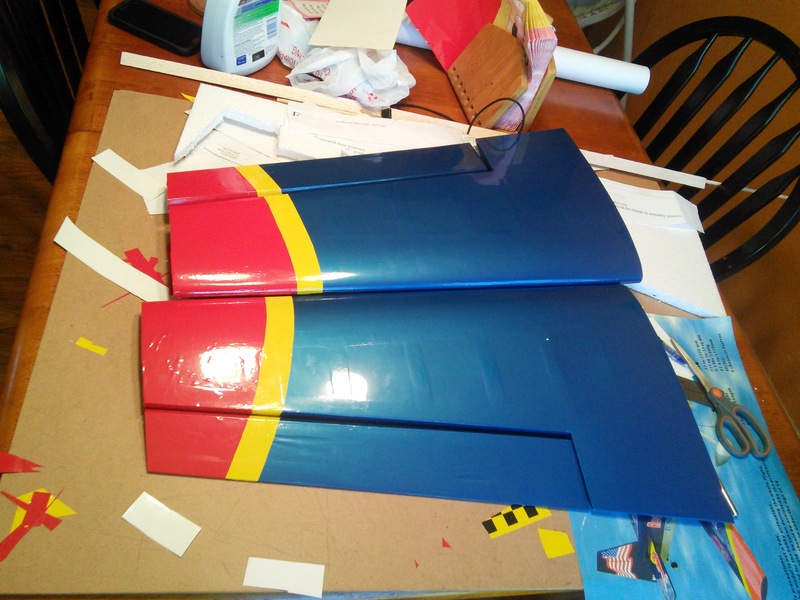 Besides dealing with the cowl situation I noticed that the kit didn’t have the striping on the wings like in the pictures of the real planes. The picture of the kit even had the striping. 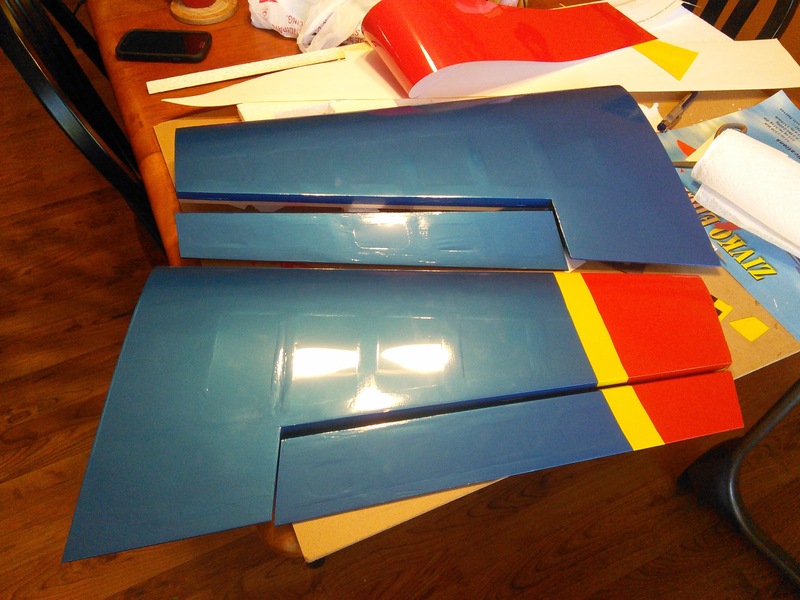 I ended up going to the local hobby shop and picking up some stripe decaling. It took an evening but I finally got the wing tips like I wanted them. 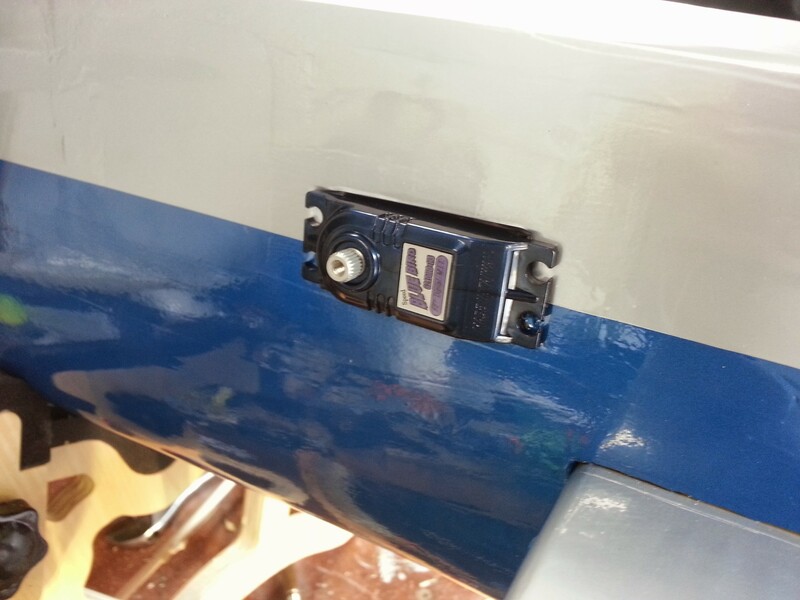 The material for the striping was a type of sticker. It stuck hard to the covering. I had problems with getting the decals to line up right without completely sticking in the wrong place. I was afraid of pulling up the covering. Eventually I got it though! 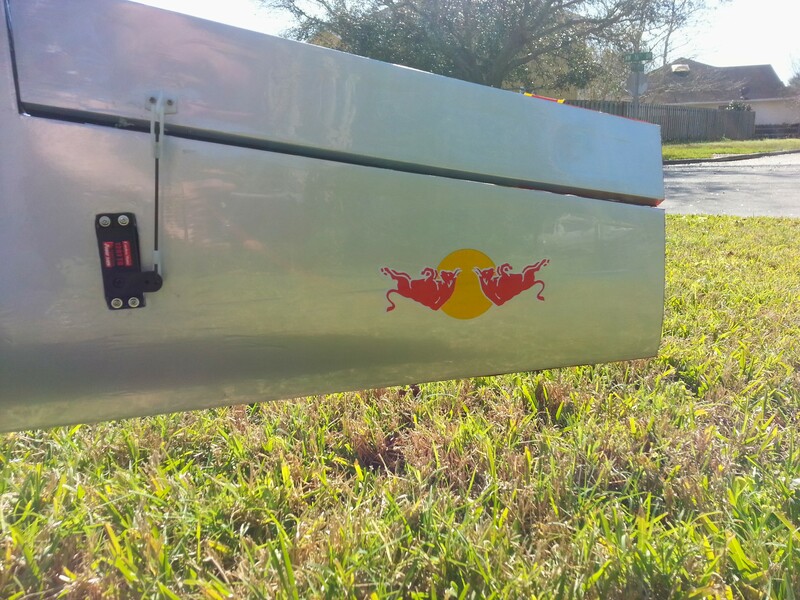 The test fit went together pretty nicely. Again, I was very happy with the results. 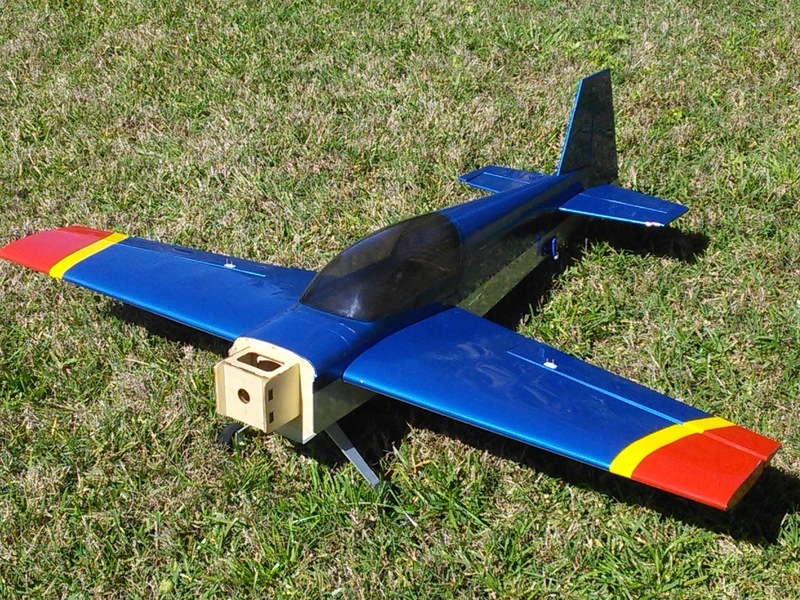 From HobbyKing.com I ordered these Blue Bird BMS-621DMGplusHS High Speed Digital Servos. They look pretty solid (and nice in the plane). I just hooked them up to the servo tester and tried them out. I have some pretty high hopes. They’re metal gear with a 109 oz./in. of torque and .10 sec. Seemingly good specs for a great price. 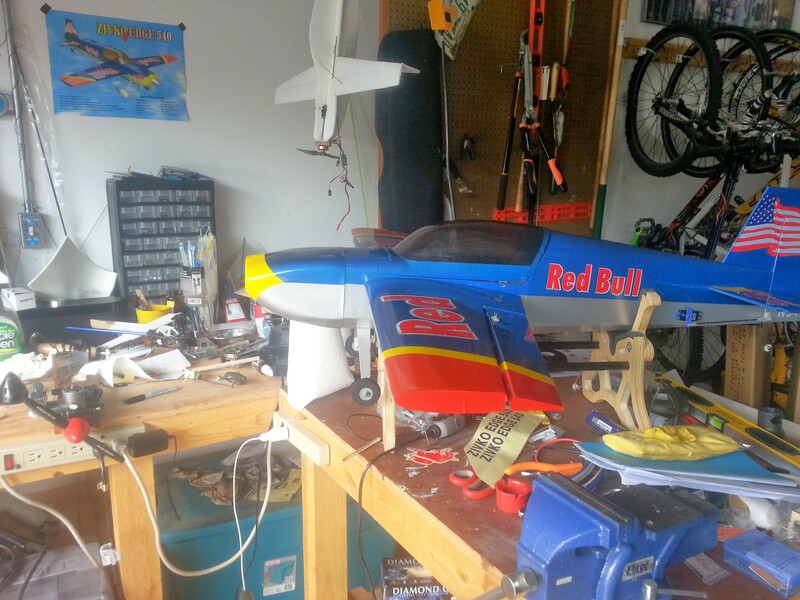 I really wanted some servo power in the ailerons. 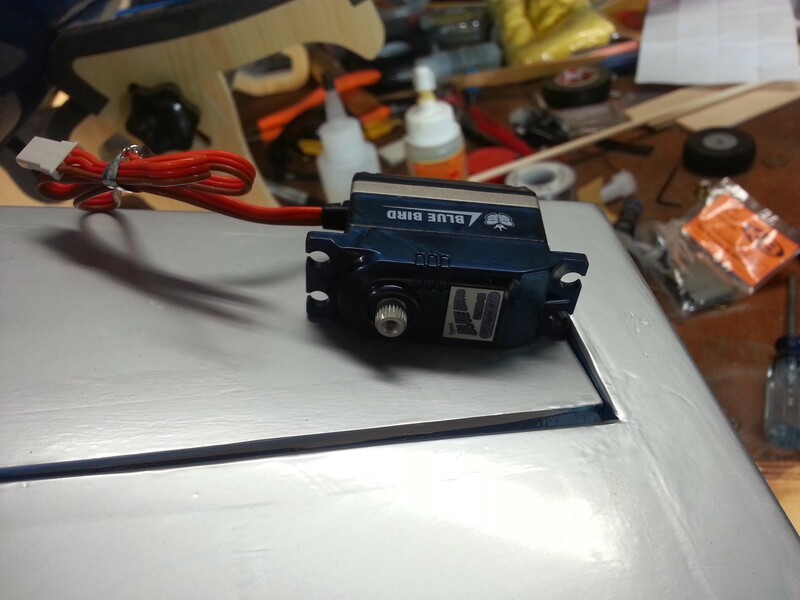 I have been wanting to try out PowerHD’s line of servos. They have some good reviews and look to be quality made. Over on Amazon you can get them on Prime. If you’re in a hurry to get them 2-day shipping never hurts! 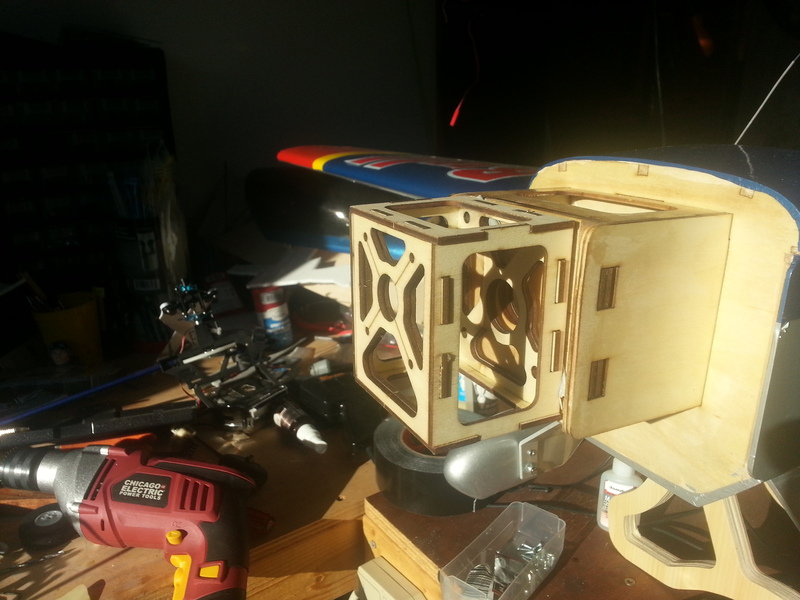 To power everything I again chose the Turnigy 8-15A UBEC that I used in the Aviator project. I really like this BEC because it has a high amperage output and it has a built-in battery level meter. As soon as you plug in your receiver battery it has four lights, two red and two green, that give you an indication of what state the battery is in. 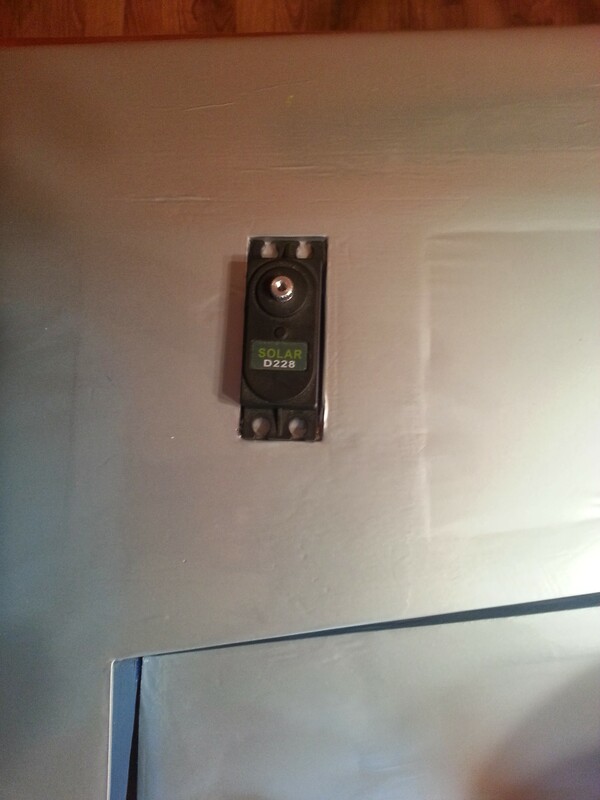 Guys at my club are always telling me that my plane’s receiver is still turned on. I guess nobody really thought that was a good idea, but I’ll hand it to the designers, this is a great thing to have on your BEC. If you haven’t checked out the Orange receivers over at HobbyKing.com I suggest you do. Now, I might have reservations in putting them in a large 30+% plane, but for the Aviator and this plane I’ve chosen to use them. On this plane I decided to use the 6ch DSM2 Orange receiver mainly because it came from the USA warehouse, but it also has failsafe support and the ability to add a remote. I didn’t see the remote in the USA warehouse so in a future purchase I’ll try to pick up a remote for it. After getting the electronics into the plane I really had nothing left to do. 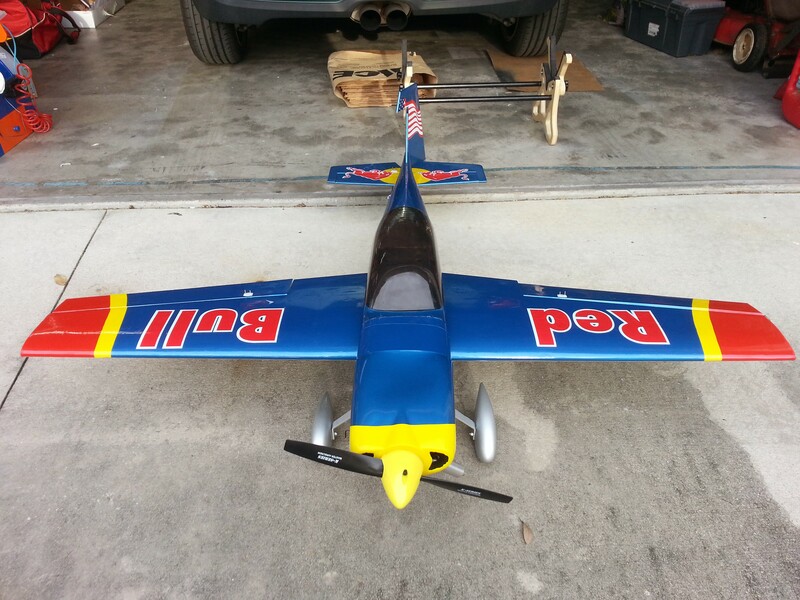 Without the cowl I didn’t know how to mount the engine. After the plane sat for a week or two I knew I had to do something or it would drive me crazy. I decided to get all the decals on it. Normally I would have done this last. That way I would avoid screwing up how it looked. I was impatient and wanted to work on the plane. I have to say, though, the plane looked awesome when I got everything on it. 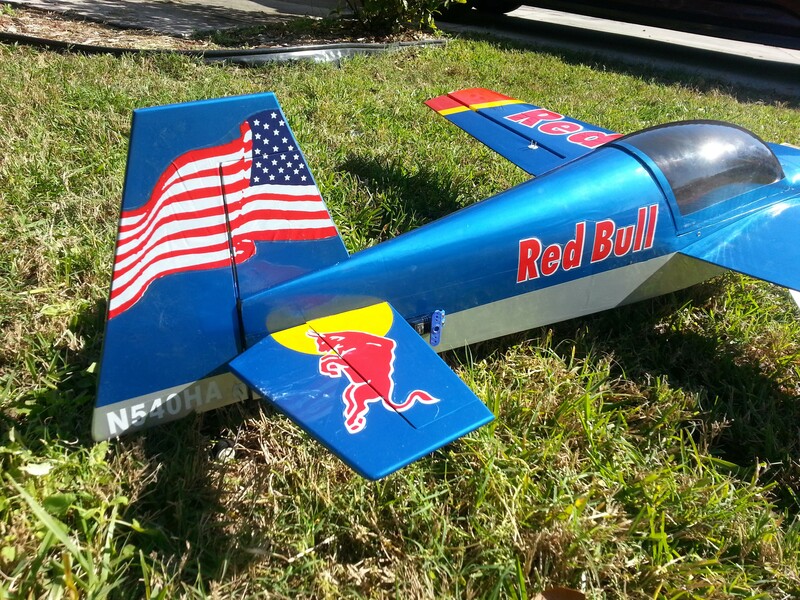 I’ve often dreamed how cool it would be to own a really big RC plane. 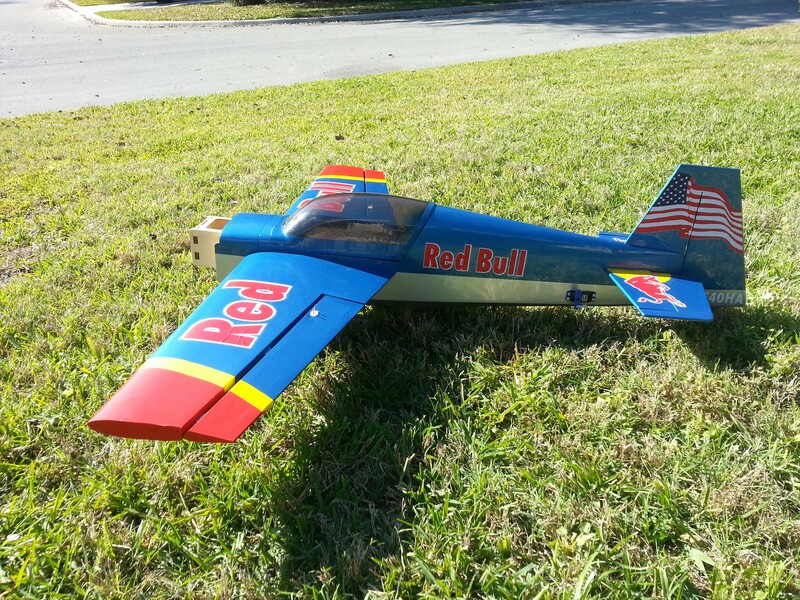 If I ever get a 50ish percent Edge 540 I’m going to have to get it done in the Red Bull livery. The cowl finally arrived after almost a month. It took some hounding from GeneralHobby.com, but it arrived. 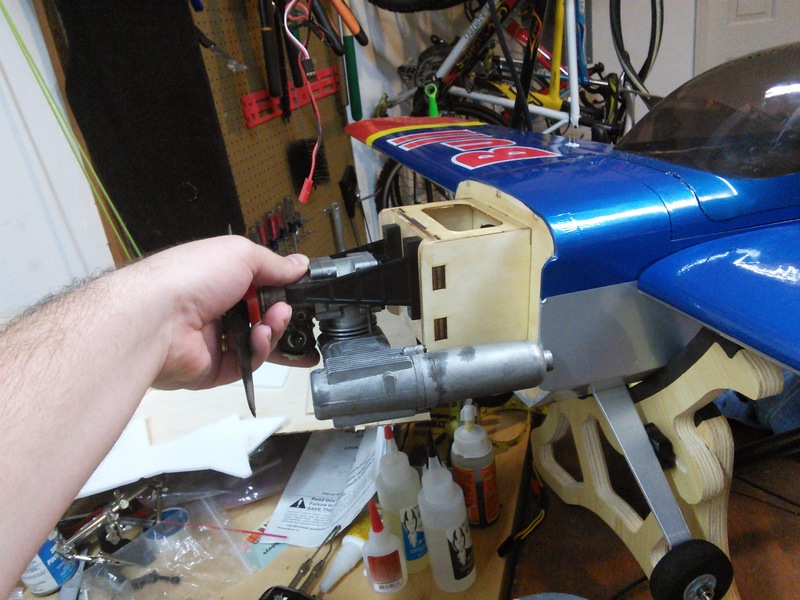 After I finally got the cowl I could start fitting the engine to the plane. 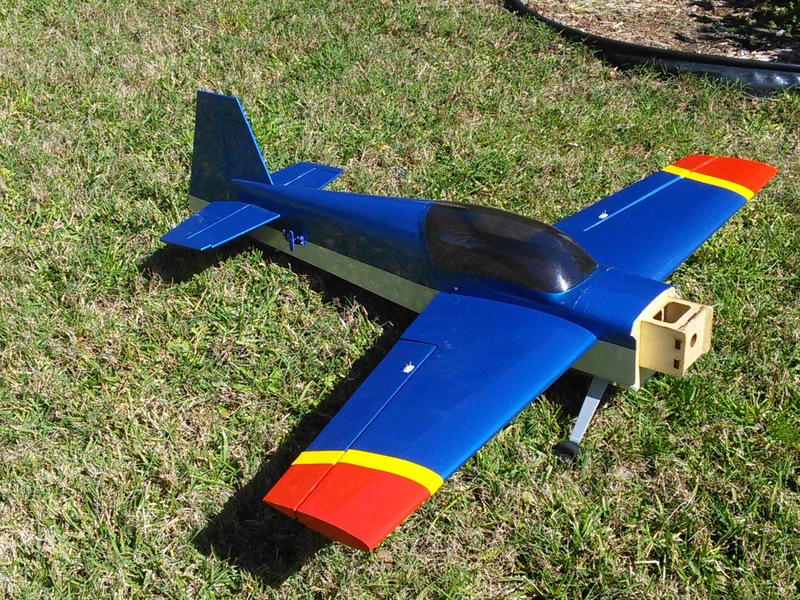 Before I had the cowl I was worried that this may be an electric only plane. In the manual there was no box on the firewall. If you were to run nitro you would bolt directly to the firewall. 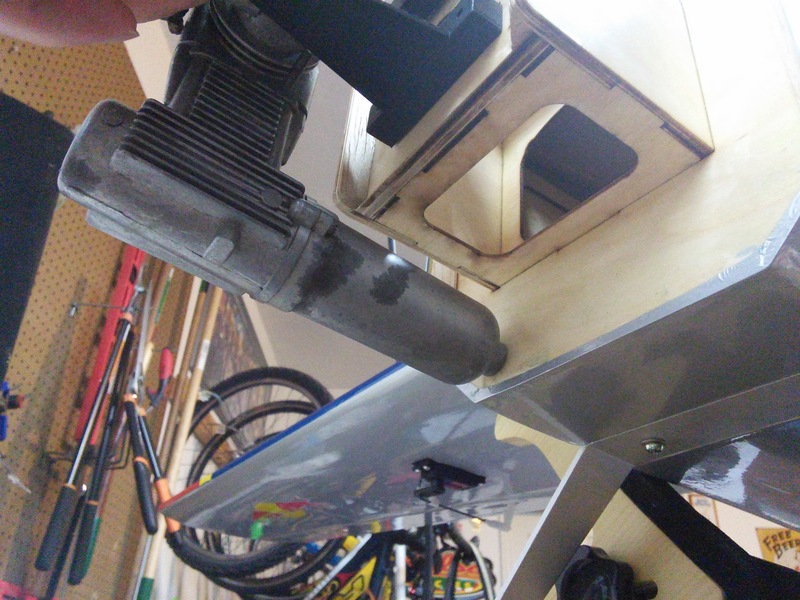 The only box shown was if the plane was to be setup for electric flight. Having the cowling in hand answered how the plane could be setup. 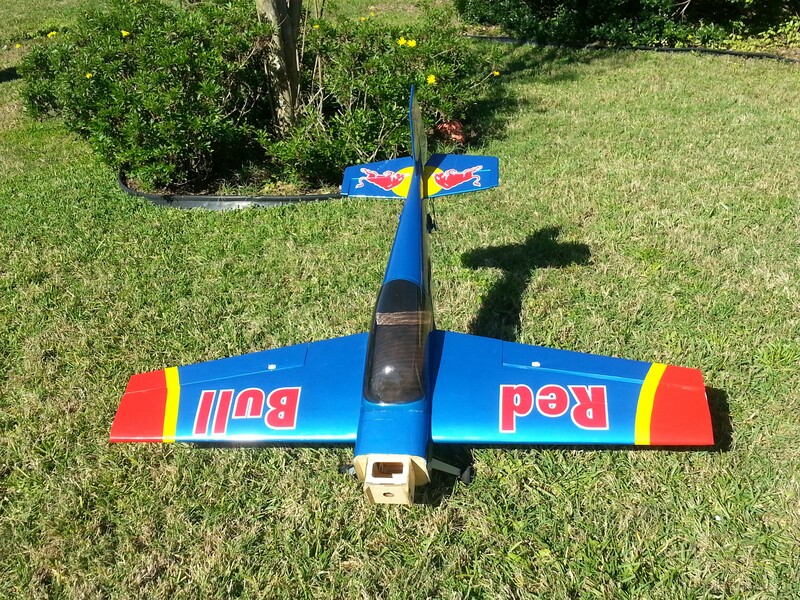 Originally I had intended on using a .40 HP nitro motor to pull the plane around. It uses a special type of porting and has more punch than your normal .40. 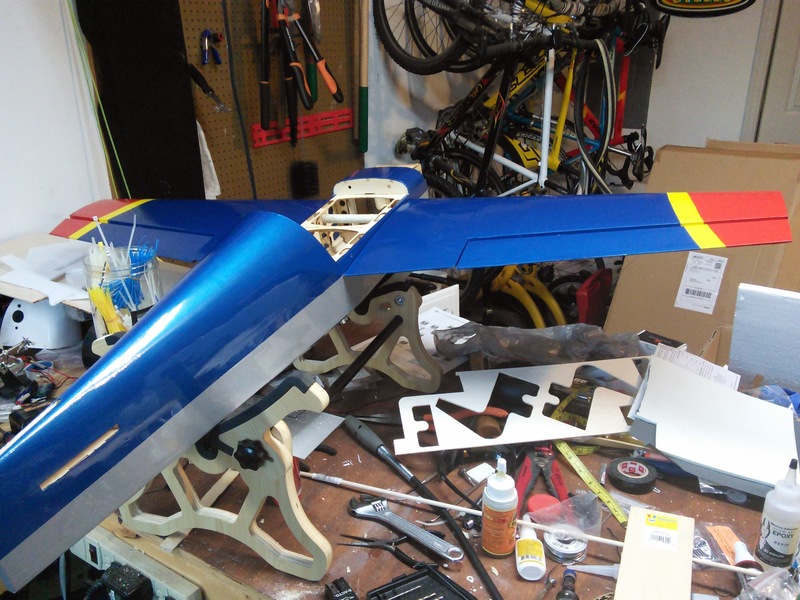 However, as you can see in the pictures above I could not find a way to mount that motor without having to do some serious work either to the cowl or to the fuselage. I had the electric conversion box sitting around from the Aviator build. I contemplated going to electric. I ended up seeing an electric conversion as being a serious cost sink. 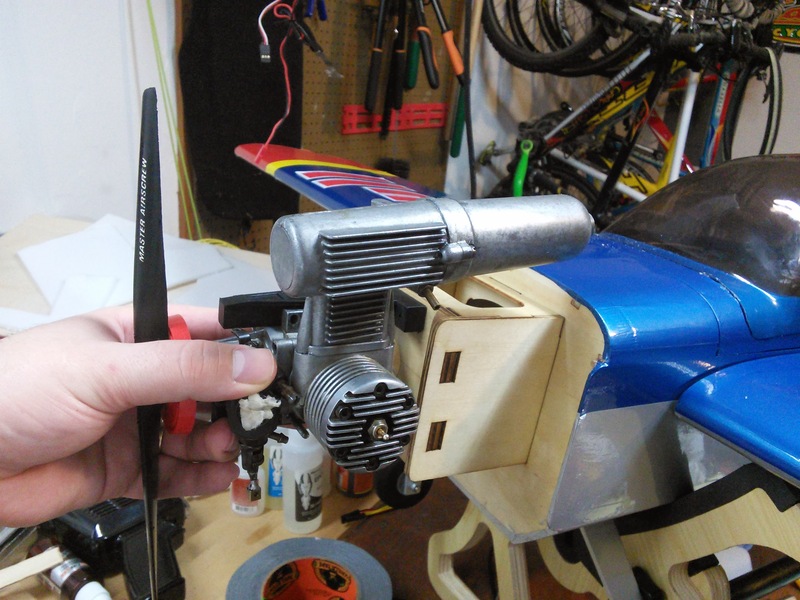 The price of the motor, a high amperage speed controller, and 5s lipo batteries would be as much or more than a new engine. I started looking for an alternative. 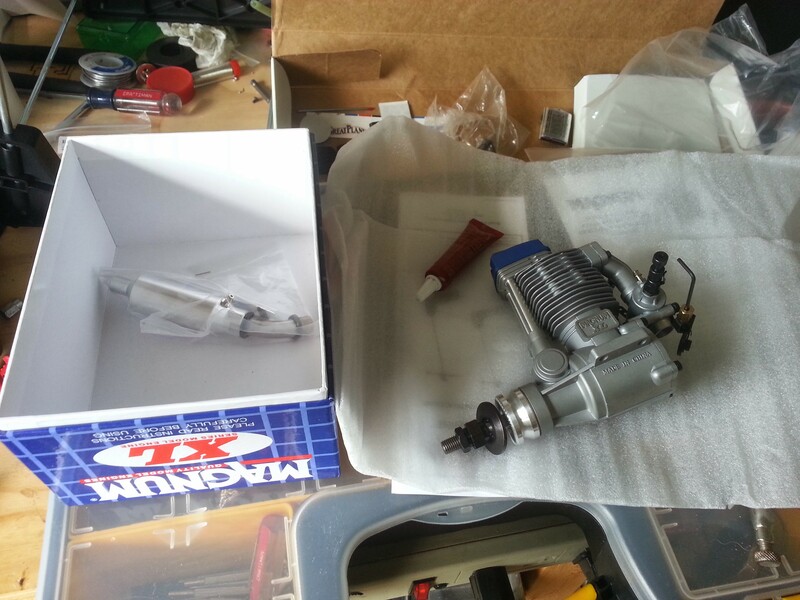 After thinking it over for a bit and taking some good looks at club members’ planes I decided to pull the trigger on a Magnum XL 70 RFS 4-stroke engine from HobbyPeople.net. I could not have been happier with dealing with them. I screwed up and fat fingered some information at checkout. They called me the next day, sorted it out, and had the engine shipped. I got it less than a week later. Awesome customer service! They’re going to have no problem getting another order from me! 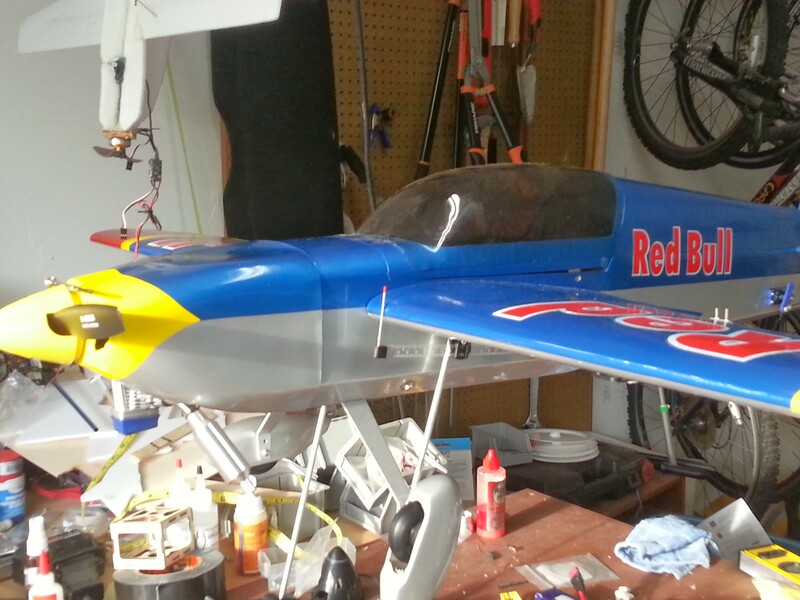 My dad stopped by and helped me put the finishing touches on the plane. He’s about the best person I know when it comes to attention to detail. 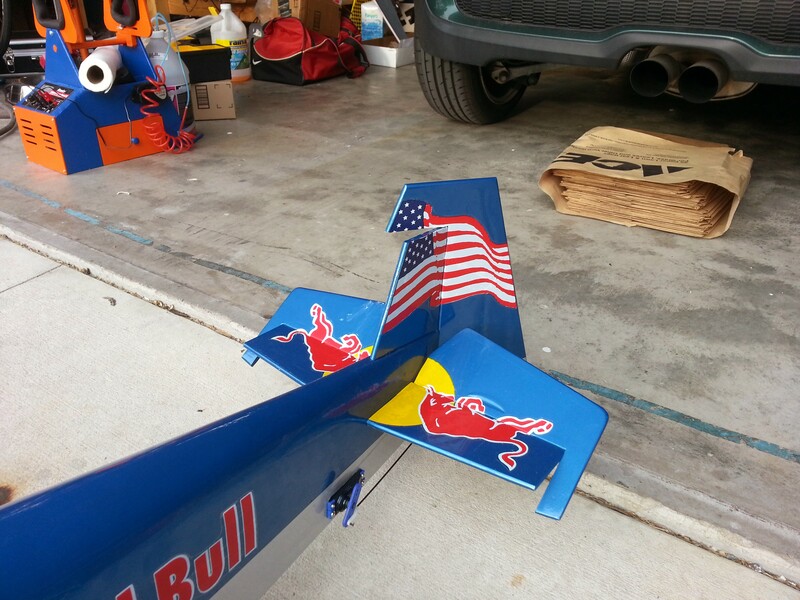 We cut out the cowling so that the engine would fit. 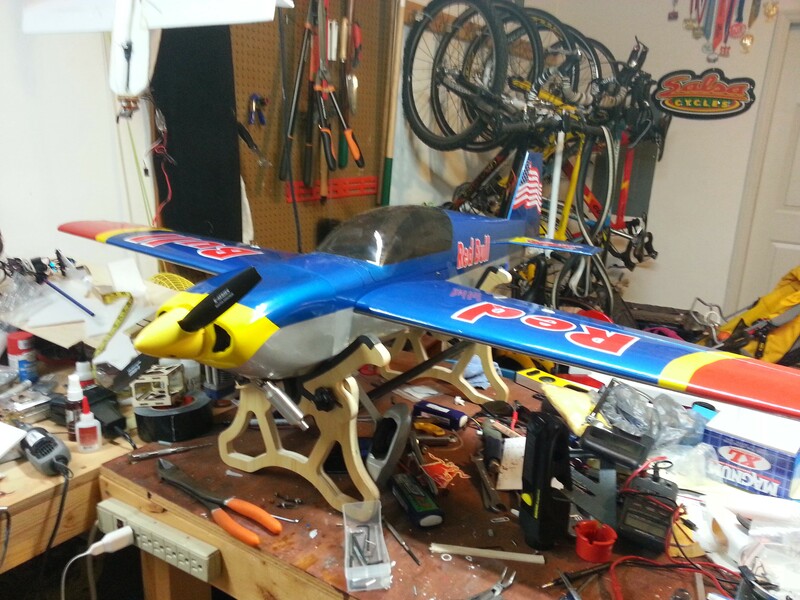 It wasn’t nearly as hard as the aviator build, technically speaking. 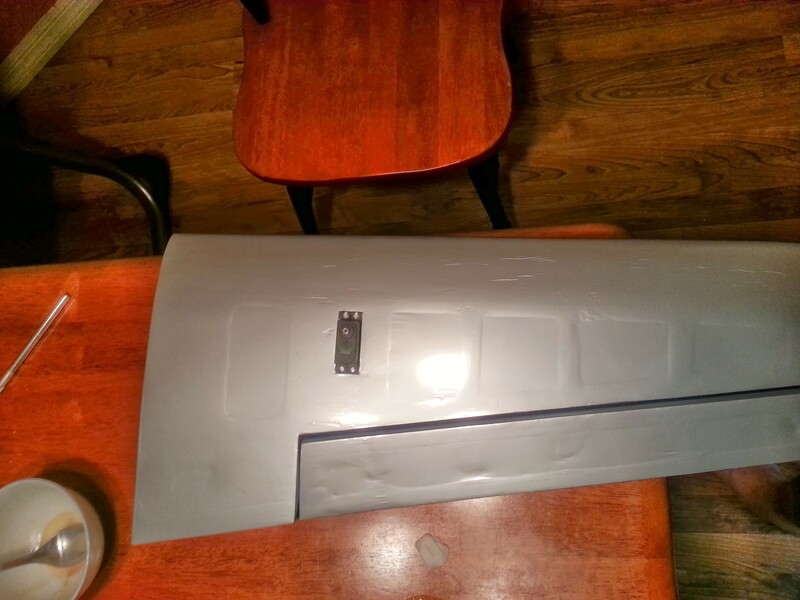 I just didn’t want to ruin how good the cowling looked! After getting it all together I balanced it out on the CG machine and stuck a spinner on it. 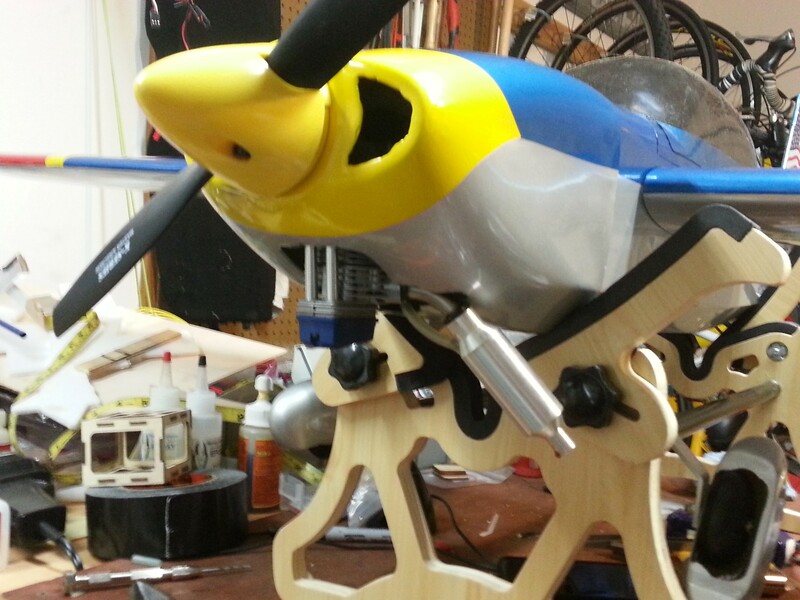 I have to say, I’m really excited and a bit proud of how this plane came out. 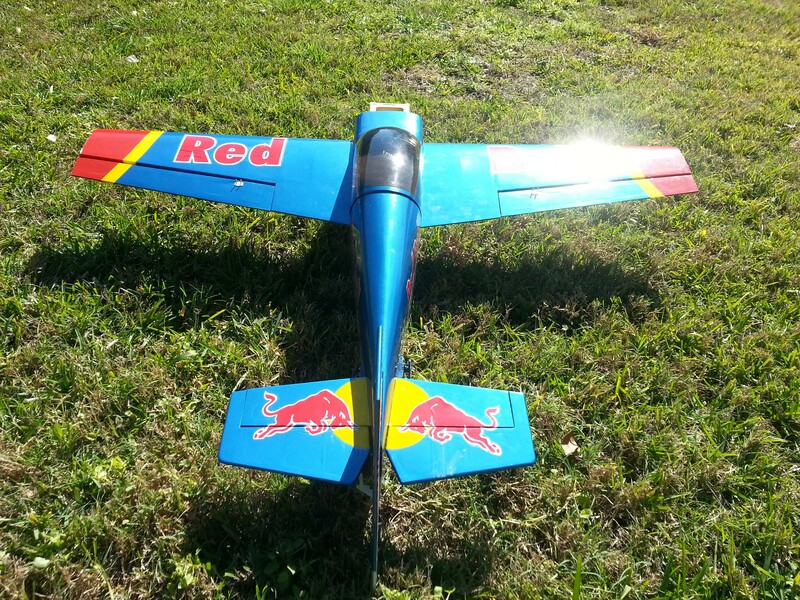 It’s my second nitro ARF so I can only hope that they’ll get better, but I really think the Red Bull scheme that I found makes this plane that much more special to me. Stay tuned for the next part. 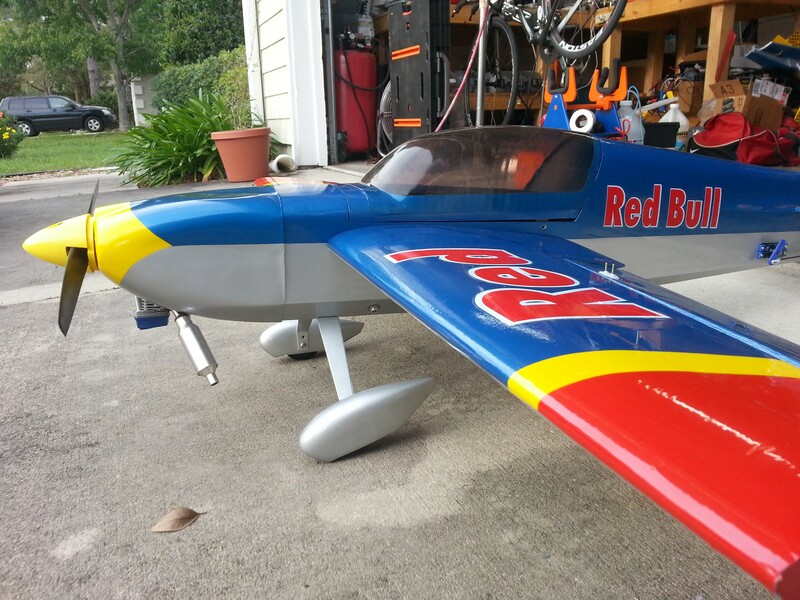 I am going to tune up the engine and hopefully get some flight time on it!